In the tradition of the spiritual classics The Shack and The Screwtape Letters comes a captivating and poignant debut novel from the revered Jesuit priest and New York Times bestselling author of Jesus and The Jesuit Guide to (Almost) Everything. A divorced single mom, Anne can barely cope with life and struggles to make sense of the death of her young son. A former architect with a promising career, Mark works as a handyman and wonders how his life got off track. The abbot of the Abbey of Saints Philip and James, Father Paul sometimes questions whether he made the right decision in secluding himself so thoroughly from the world. At this Pennsylvania abbey, this unlikely trio will discover the answers they seek—a miracle of hope and understanding that bears witness to the power of God to bring healing and wholeness to our lives. 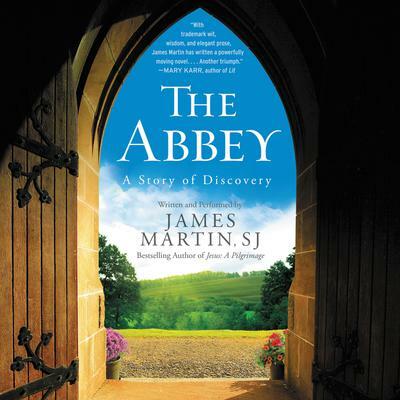 Written with the compassion, insight, and warmth of his previous bestsellers—Jesus, Between Heaven and Mirth, and The Jesuit Guide to (Almost) Everything—Father James Martin’s debut novel is infused with deep spiritual wisdom, wry humor, and loving grace. Through his characters’ struggles, questions, and crises, we see firsthand how God uses our worries, anger, doubts, prayers, failures, and longings to help us complete ourselves and feel wholly loved. Reverend James Martin, SJ, is a Jesuit priest, editor-at-large of America magazine, and the author of several books, including the New York Times bestseller Jesus. He has written for many publications, including the New York Times and the Wall Street Journal, and he is a regular commentator in the national and international media. He has appeared on all the major radio and television networks, as well as in venues ranging from NPR’s Fresh Air, Fox’s O’Reilly Factor, and the PBS NewsHour to Comedy Central’s Colbert Report. Before entering the Jesuit order in 1988, he graduated from the Wharton School of Business and worked for General Electric for six years.